Get a crew of 6 together and rent this gorgeous 2011 Beneteau Flyer Sun Deck for a fun-filled day out on the sea. 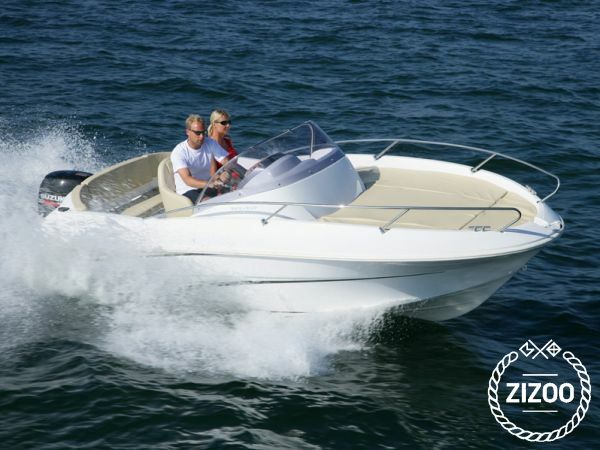 Like all Flyer models in the chater, she is equipped with a turbo swing which enables you to enjoy a number of watersports speedboats offer, such as wakeboarding, waterskiing or tubing. If necessary, you can rent any additional equipment from your charter. Bring your music to make it a full experience cruising around under the bimini shade, and if you have a fishing enthusiast onboard, you might even enjoy a freshly caught sea food dinner later on. Use the outboard shower to wash down the salt after a refreshing swim, then hit the deck to soak up some sun and get a lovely tan. Punat Marina is a great starting point for exploring islands in the area, whether you're into nature, history or discovering local gastronomy. Your charters customer service includes giving their guests tips on anything they might want to do, so go ahead and ask, they know all the secrets!